Grain sampling stations are located in some of the most remote locations on earth, so on-site technical support and downtime contingencies can be a costly affair. With valuable and sensitive instrumentation centric to the sampling process, technicians have to be diligent and well trained to ensure long term reliability is achieved. Unfortunately, from time to time “Accidents Happen” and the simplest of mistakes can lead to large repair costs and extended down-time, exacerbated by the remote location of grain sampling labs. Aside from an accidental “coffee spill”, the dusty nature of grain labs play havoc with electronic instruments. Once fine dust starts to build on circuitry, it’s only a matter of time before performance is compromised. 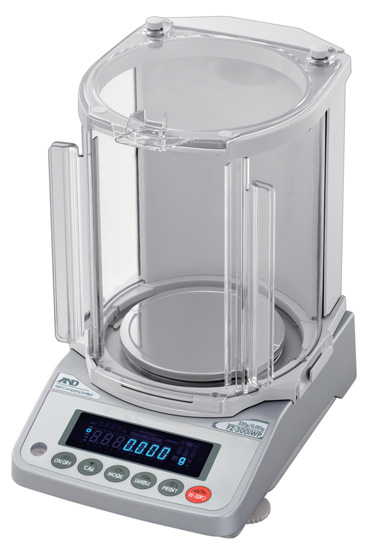 A&D’s precision balances mitigate many of these risks by having IP-65 dust and moisture ingress protection on their legal-for-trade FZ-WP balance range. Historically, adding this level of protection to a 1mg or 10mg weighing instrument results in significant cost increases over non dust/waterproof versions. A&D Japan’s R&D division has changed that situation with the FZ-WP with pricing actually lower than past models used in the grain industry. These precision models are already popular, with over 200 units deployed to grain sites in the last 24 months. A&D have added a square weighing pan as a specific add-on to suit grain testing requirements, and have approval certification from the National Measurement Institute in Sydney (NMI cert. 6/4C/269) ensuring legal compliance with Weight’s & Measures regulations. A&D report that their short but effective YouTube video tells the simplest of stories and creates significant interest for this new level of protection in precision weighing instruments.